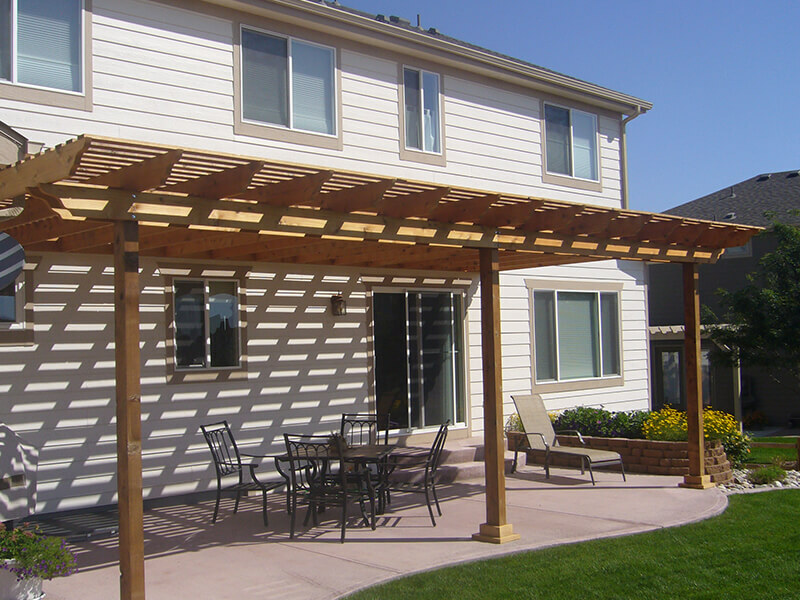 Not only are our Fort Collins pergolas functional, but they are also an accent to your outdoor living space. 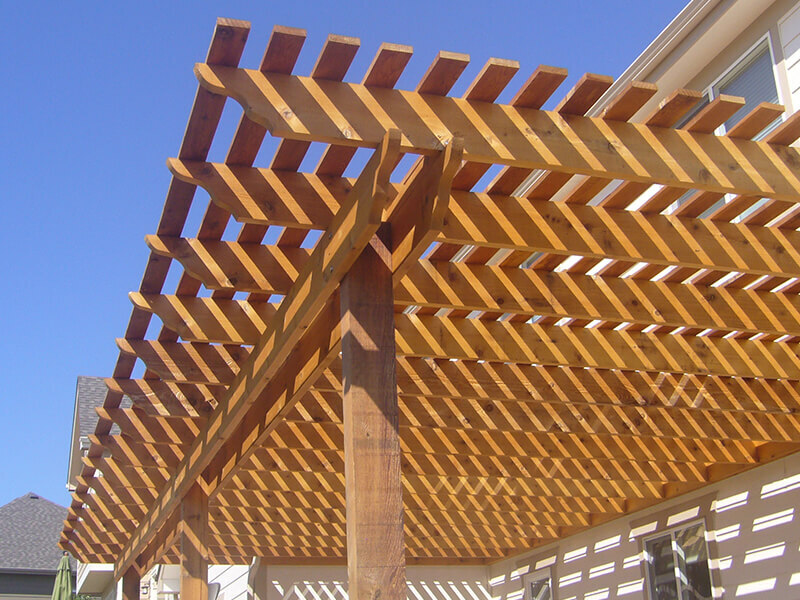 When it comes to designing your new pergola, the options are limitless. 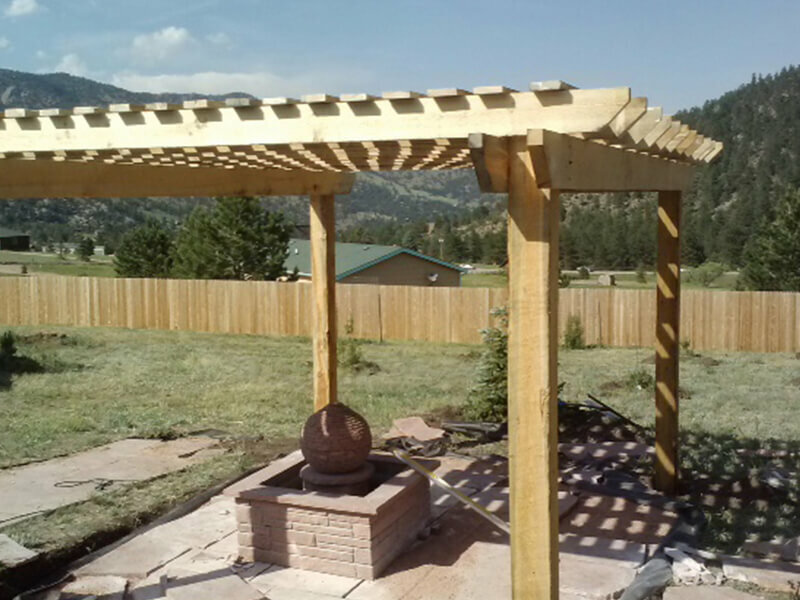 It’s important to find a contractor who is willing to think outside of the box. 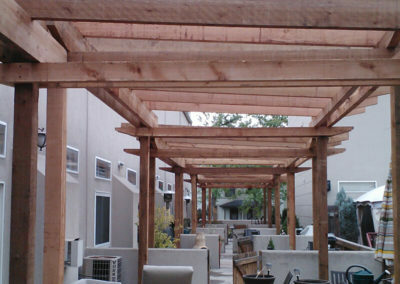 Not all pergolas are constructed the same. 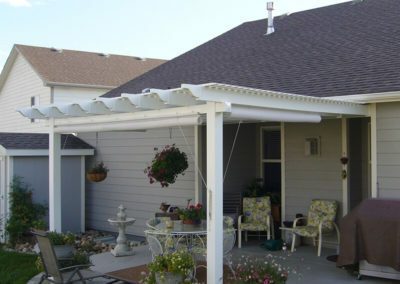 We like to visit your home in order to see your unique application and then design one to fit your needs perfectly. 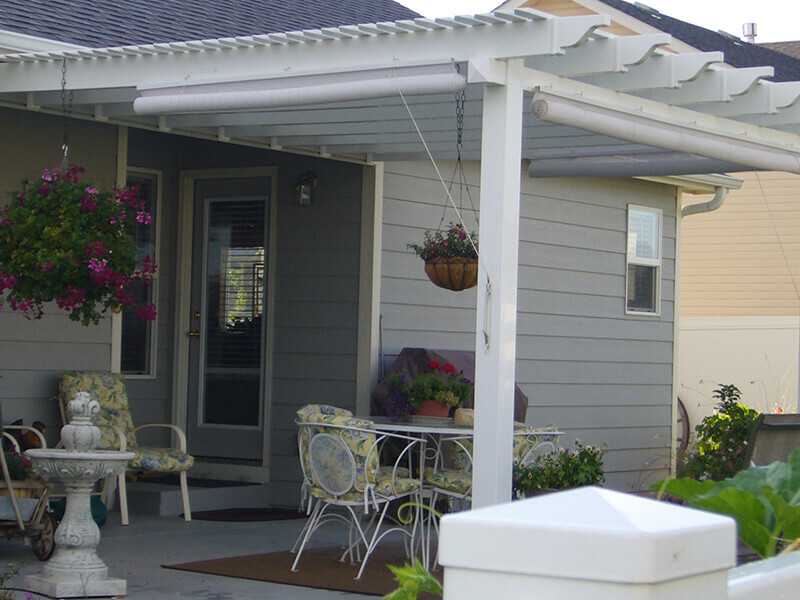 We are happy to bring ideas and pictures to our consultation so we can get your creative juices flowing. 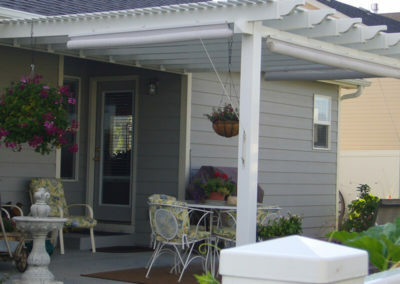 Most Pergolas are attached to the house but we also have some very unique freestanding designs. 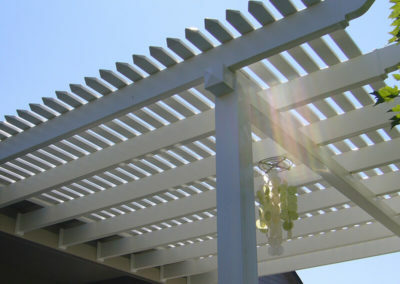 The only option available for a maintenance-free pergola is vinyl. 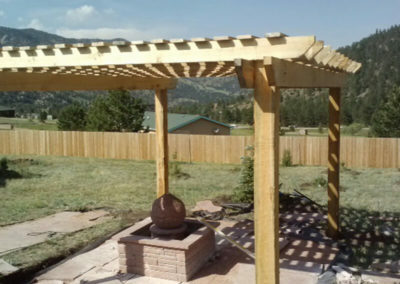 The same material that we use for building fences is used for our Fort Collins Pergolas. It comes in three different colors which are white, tan and adobe. 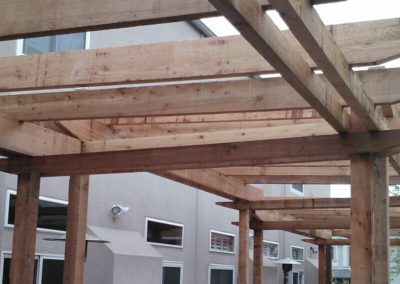 We insert wood reinforcement inside of the vinyl in order to make this a structurally sound pergola. 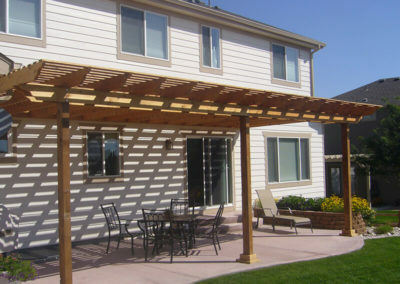 There is nothing left to do after installation except enjoy your outdoor living space to the fullest. 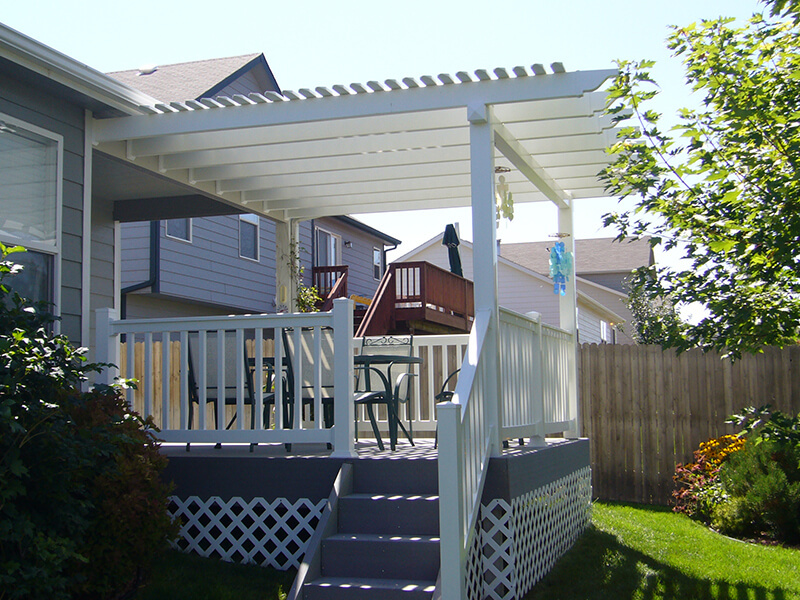 There are several options for wood pergolas in Fort Collins. 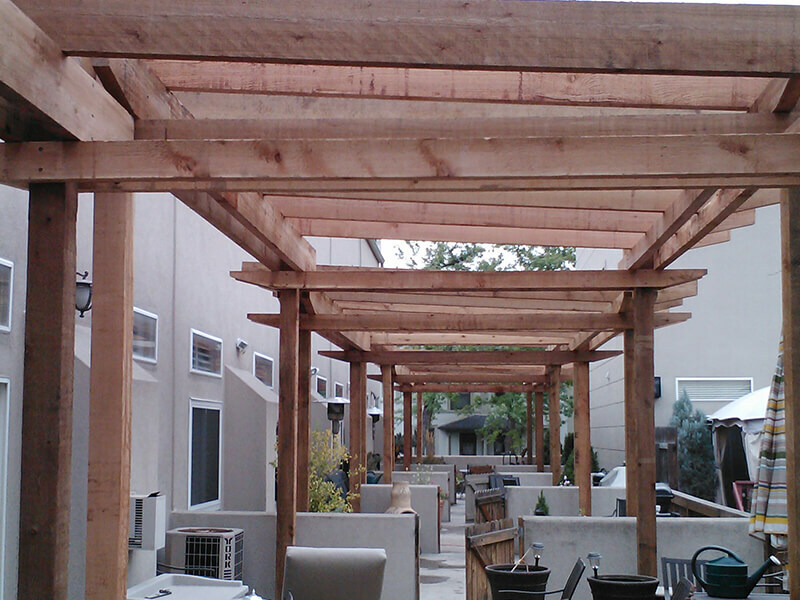 Cedar is by far the most popular but we can also you Douglas Fir or rough cut Pine for the truly rustic look. 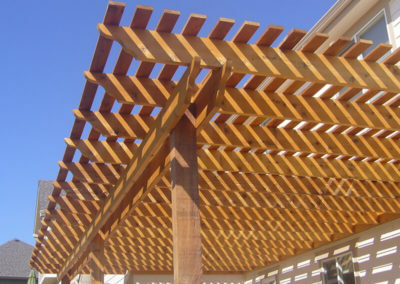 Because wood is a structural building product we can be much more creative and versatile with our design. 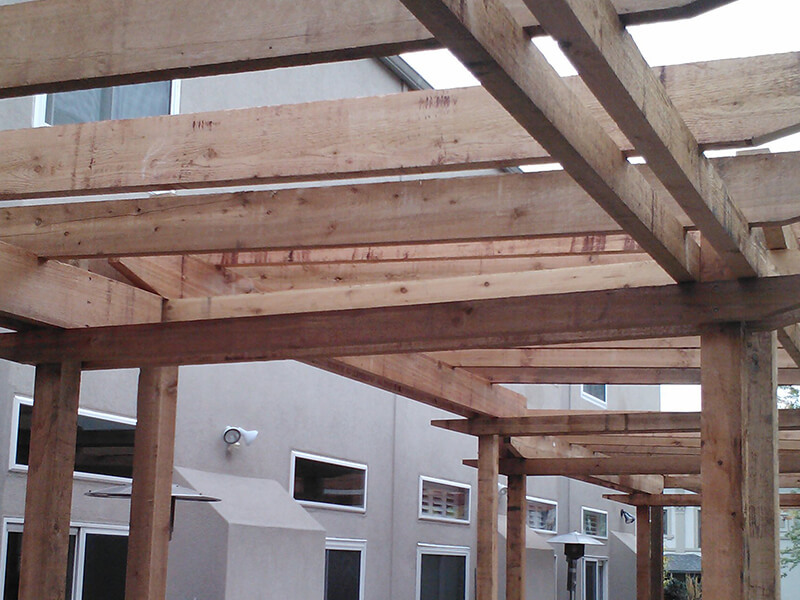 No matter what type of wood you use, it’s imperative to coat it with a high-quality sealant after the building is finished. 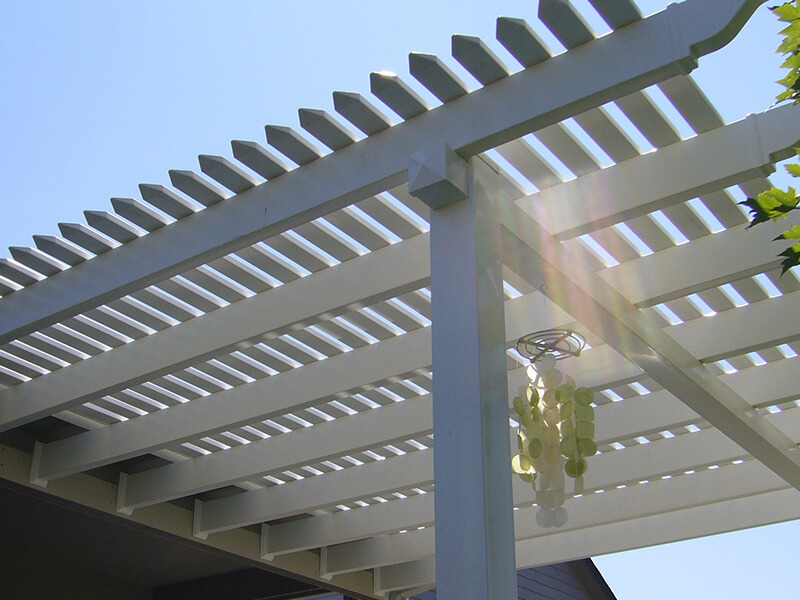 Don’t want to worry about staining it? That’s fine. 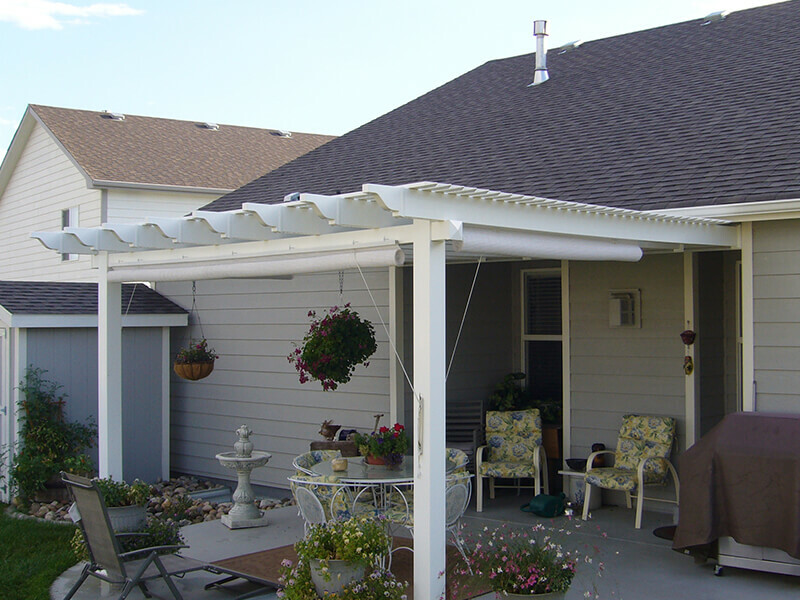 We have clean and detailed people on our team to help you out.